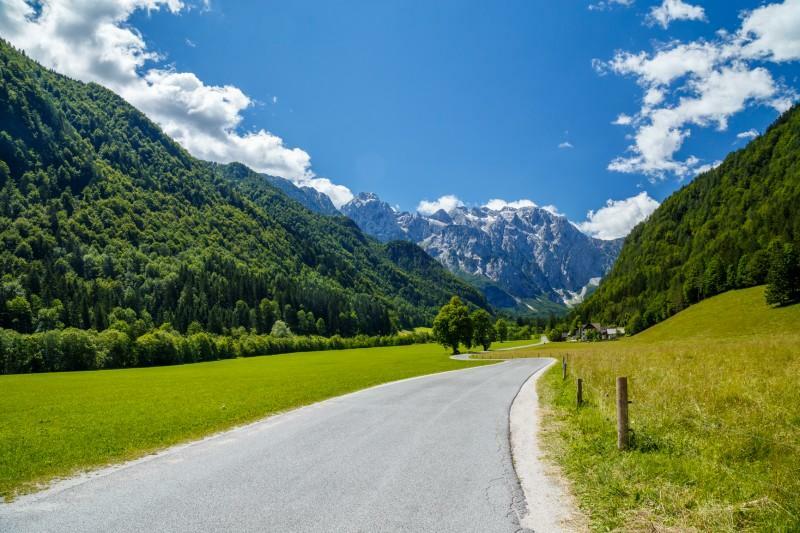 As Slovenia celebrated its Independence Day, we took the day off and went exploring Slovenia’s gem – Logar Valley. It is one of the most beautiful glacial valleys in Europe. 7 kilometers long, 250 meters wide and surrounded with mountain peaks more than 2000 meters tall. A terrific place for hiking or just gentle strolling, getting lost among the tall trees and relishing the unspoilt nature. There is nothing you can do but stand in awe of the Rinka Waterfall, the second highest in all of Slovenia. It plunges a total of 105m. And river Savinja offers even more options like kayaking, canyoning or rafting. The best way to finish the long day of traversing in the heart of Kamnik – Savinja Alps is to visit one of the many friendly local farms that will further impress you with delicious home-cooked delicacies. Next week find out more about Logar Valley and what makes it a very family friendly destination.